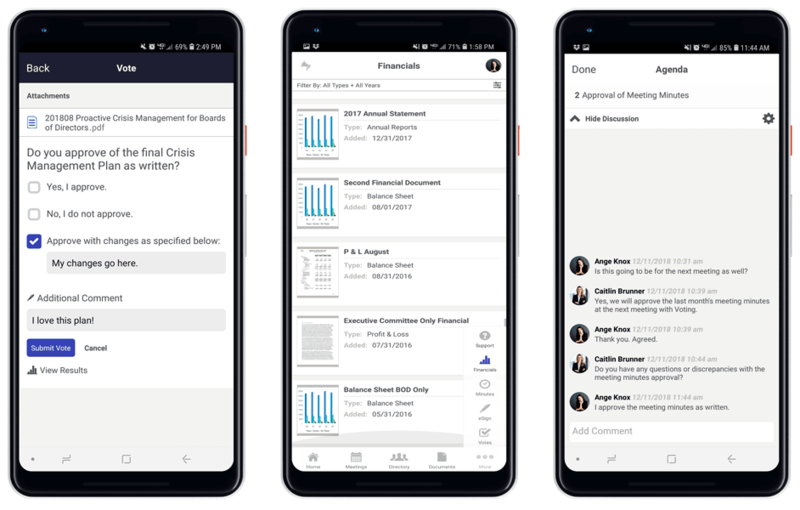 Board portal software that enables boards of directors to securely access board materials and seamlessly collaborate with board members online or offline with phones, tablets, and computers. Benefit from the BoardBookit experience with secure paperless access to board materials and management on any device, anywhere, at any time – even when an internet connection is unavailable. 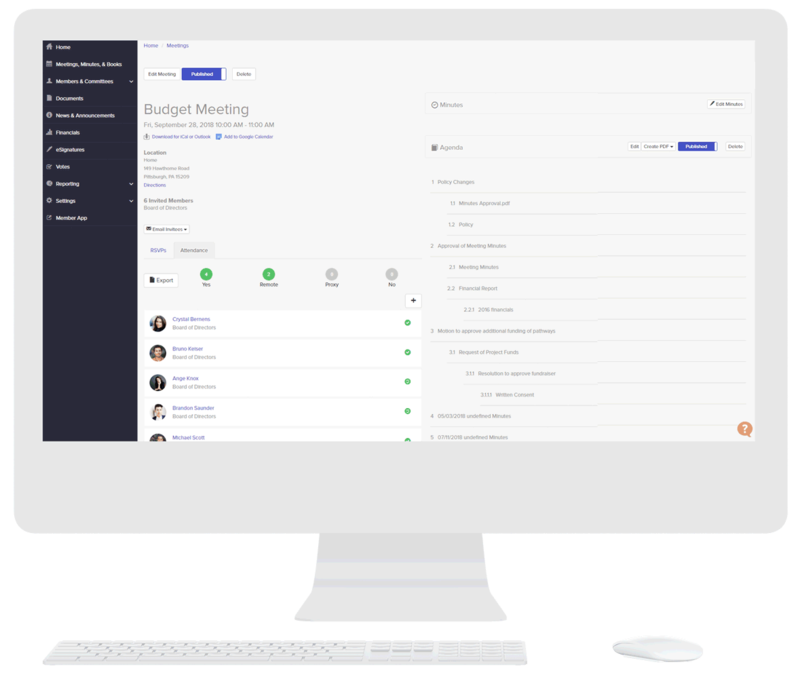 Key integrated enhancements like board meeting minutes, electronic voting technology, and live discussions are also included within the board portal platform for every organization and always function on the newest release. Track attendance, vote on decisions and annotate documents in real-time on every device. BoardBookit award-winning board management software is trusted by board directors, executive leadership, and corporate secretaries worldwide for unmatched security and an intuitive board portal experience. When you are tired of doing board business the old way, BoardBookit. Enjoy one central easy-to-use secure board portal platform for the creation and distribution of board materials. With a focus on constant innovation and fortified security, administering your board has never been easier. 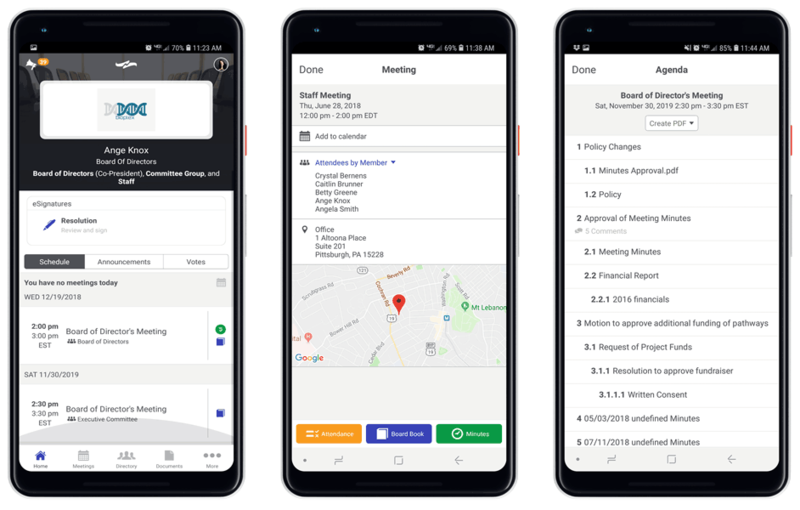 Create board meetings in minutes and sync to your organizations’ calendar with one click. Poll directors for availability, suggest dates / times and monitor attendance responses on a clean, elegant dashboard. Drag-and-drop technology allows you to build electronic board books with ease. Collaborate on agendas and meeting minutes via Discussions. Changes update instantly across all platforms and devices for a seamless experience. Need to get information out to the Board fast? Quickly post a press release, announcement, or just a one-line update. Search users and filter by group before exporting for external uses. Adding/deleting, resetting passwords, and including executive assistants help to make your tasks easy to accomplish. Include important information on user profiles for comprehensive rosters and message users with reminders. Control the ability to print, download, and annotate documents. Set 3 levels of granular permissions for agenda items, document folders, polls, financials, and more. Set options on voting ballots and manage results and reporting. Manage and purge comments in Discussions. Remotely wipe data if a device is lost, stolen, or compromised. Store documents in one central repository for simple and controlled access with military-grade encrypted eSignature technology that provides legal audit trails. Un-publish or delete materials based on internal schedule and requirements. Import existing agendas or create a new agenda with templates. Record meeting minutes directly in our platform and send minutes to directors electronically for instant approval. Streamline the decision making process with easy and flexible ballot creations and security permissions. The adjustable and comprehensive reporting feature allows admins to view resolutions by member, count, or percentage. Track attendance. Create detailed voting reports. Poll and survey members on important board business. Set custom profile fields for board and committee members. Export all reports via spreadsheet. No more binders, paper, pdfs or emails to search! BoardBookit makes it easy to move to a paperless board room. BoardBookit offers board portal solutions that enhance your board membership so you can focus on what matters most. eSignatures in BoardBookit are a secure and efficient way to sign documents and have the same legal standing as handwritten ones. Making decisions in an out of the boardroom is easy with secure, electronic voting. Cast your vote with a variety of ballot options including checkboxes, radio buttons, paragraph areas, and more. View results for a transparent approach to approvals. For directors who serve on multiple boards, simply use a toggle switch to navigate between boards. View news, announcements, and notifications for each board separately. Use calendar sync for optimal organization and multiple board engagement. 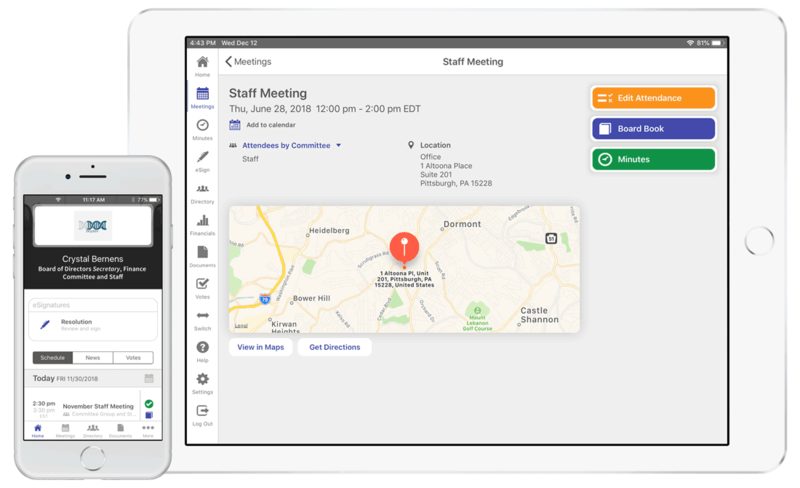 ARE YOU READY TO SEE MORE MEETING MINUTES SOFTWARE FEATURES? START A CONVERSATION TODAY!